Boris Pasternak. 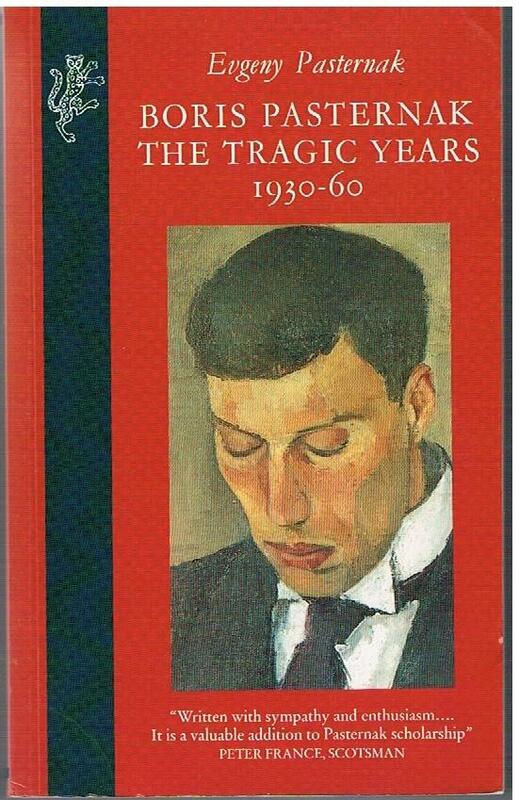 The Tragic Years 1930 - 60. Translated from the Russian by Micahel Duncan. Poetry translated by Craig Raine and Anne Pasternak Slater. Spine creased and faded, cover worn, page edges tanned, some notes inside rear cover. Shipped from the U.K. All orders received before 3pm sent that weekday. Marijana Dworski Books, specialist booksellers, have been buying and selling books since 1991. We pride ourselves on our professionalism and a deep knowledge of our subjects. Our books are expertly packed using high quality packaging and all orders are despatched promptly. Any enquiries regarding our books welcome. For any problems, please do contact us first and we shall do our best to accommodate you. We specialise in books on the world's languages (dictionaries and grammars on some 300 languages usually in stock), linguistics and general philology. We also specialise in Celtica and all aspects of the Balkans, Eastern Europe, Russia and Central Asia. Our business is located in Presteigne, in Wales, on the Welsh English border. Visitors always welcome by appointment. Tracking and insurance on Priority deliveries. All books despatched on receipt of full payment. Shipping costs are based on books weighing 2.2 LB, or 1 KG. If your book order is heavy or oversized, we may contact you to let you know extra shipping is required.